Join Bluehost now and get a FREE domain name for life! Go to Bluehost. Click on Get Started Now button. It’s just $2.95/month. Choose your plan from Basic, Plus or Pro and click select. Provide your account information, Payment information and click Submit to confirm your order. 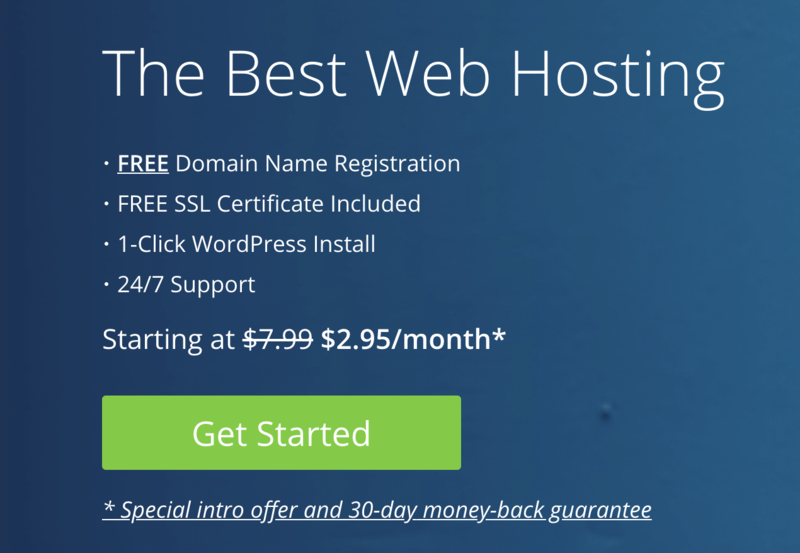 As you see you have to just pay $106.20 for 3 years of Bluehost WordPress hosting. That’s a big $180 discount you are getting. Once Signup, login to cPanel and click on 1-click install. 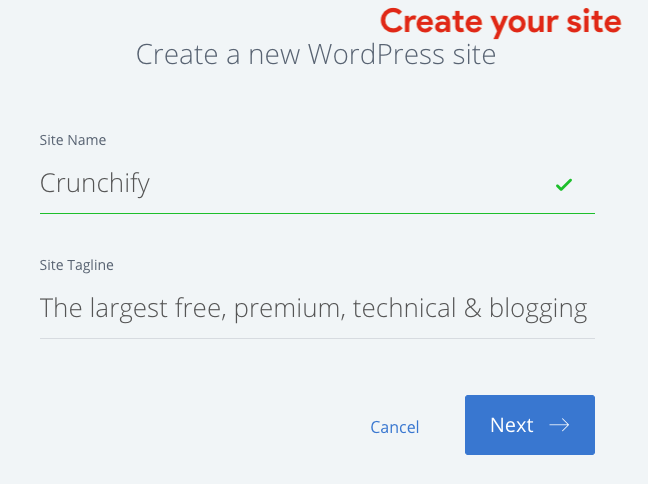 Follow all prompts and complete your WordPress installation. And you are all set. 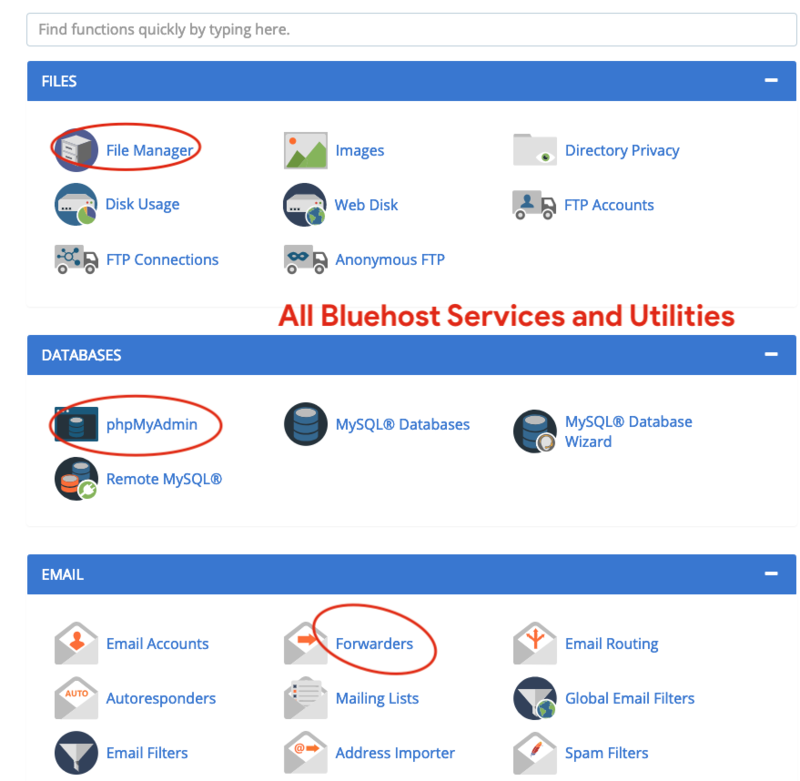 There are multiple Bluehost cPanel Options available out there. Below are the few all Services and Utilities for you to choose.